It is a chilly winter’s morning and a weak blue fog has settled over Rawalpindi as we arrive at the city’s St. Joseph’s Cathedral. A security guard, wrapped in navy shawls and a purple balaclava ushers us in, where the grounds lay deserted and still. A sense of unease is palpable among the tiny stream of early morning worshipers walking in. It’s been 10 days since Asia Bibi, a Catholic woman, was acquitted on charges of blasphemy by Pakistan’s Supreme Court on the October 31. Bibi, a mother of five from Punjab province was sentenced in 2010 after she was accused of defiling the name of the Prophet Muhammad during an argument a year earlier with Muslim women over drinking water. She was handed a death sentence and was on death row for nearly eight years before her acquittal. Accusations of blasphemy have seen a surge in mob violence across parts of Pakistan. The country’s strict blasphemy laws are a topic of great sensitivity in Pakistan; accusations of blasphemy have seen a surge in mob violence and lynchings in pockets of the country. An agreement has been reached between the government and the protesters following a lockdown of three days, but a bitter feeling of anxiety remains in the air. 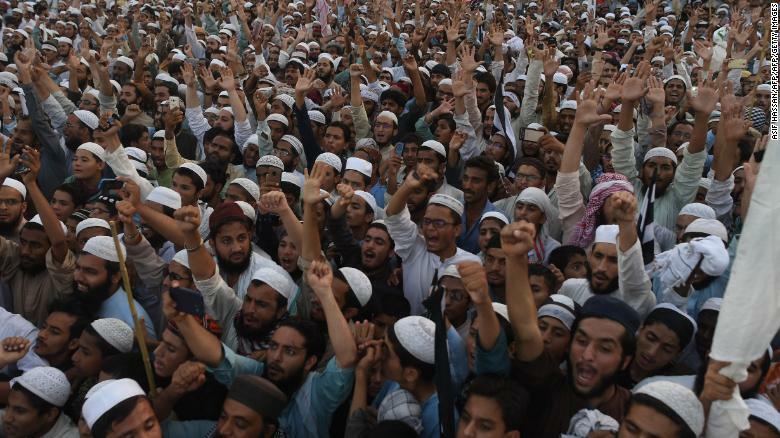 Supporters of the Pakistani religious Islamist group Mutahida Majlis-e-Amal (MMA) gather during a protest rally against the release of Asia Bib in early November. Tehreek-e-Labaik Pakistan (TLP), a right-wing Islamist group, also only agreed to call off the protests on the condition that it would not prevent the group from handing in a petition to the Supreme Court to place Bibi on the country’s exit control list. If approved it would mean that Bibi would not be permitted to leave the country. Her whereabouts are currently unknown, as she has been moved from her jail to an undisclosed location. While speculation is rife about the safety of Bibi and her family, there are larger conversations at stake regarding the protection of Pakistan’s tiny Christian minority. At the Cathedral in Pakistan’s garrison town of Rawalpindi, CNN is asked to visit in the early hours of the day to avoid drawing unnecessary attention to the site. 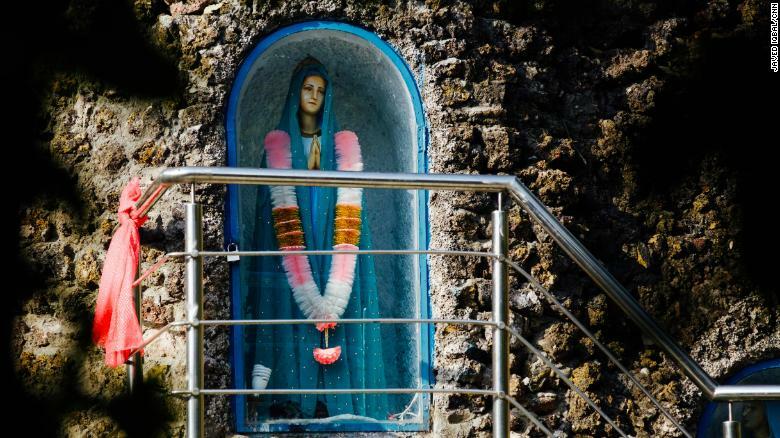 Mothers shuffling in to drop off their kids at the neighboring convent avoid our gaze, looking away when we ask them about Asia Bibi’s case. 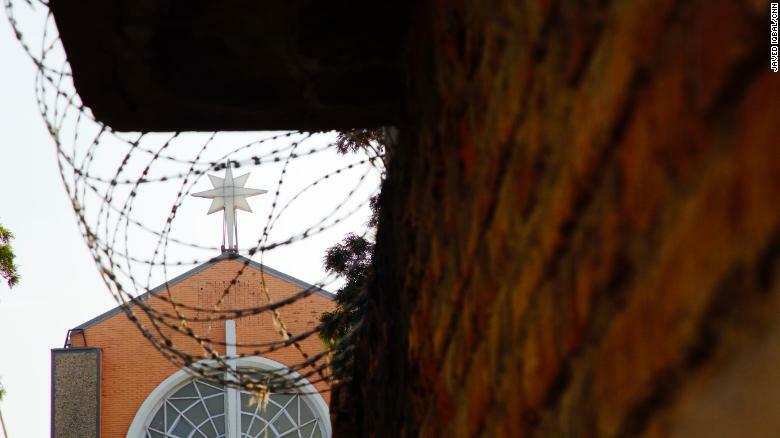 One of the elder Christian gatekeepers at St Joseph’s tells CNN that he is “grateful for the presence of the military close to the church.” However, he notes that the sense of fear has “begun to haunt him” since the capital went into lockdown after the acquittal. CNN tried to speak to members of the Christian community within parts of Islamabad and Rawalpindi but everyone approached was unwilling to speak for fear of retribution citing the charged emotions in the air in the aftermath of Bibi’s acquittal. Around 50 percent of individuals accused of blasphemy in Pakistan are non-Muslim. Pakistan’s Christians make up only 1.59% of its population of more than 200 million, but as Peter Jacob, the executive director for the Center for Social Justice in Lahore says the impact of blasphemy laws on minorities is hugely disproportionate, with 50% of those accused being non-Muslims. Bashir adds that the lives of these individuals are tossed into a whirlwind of uncertainty. “When you are accused you cannot live in the same place, your family is under threat, your entire locality is under threat, you must run, you must leave everything you love behind. The impact is very severe,” she said. The crime of blasphemy can carry the death penalty in Pakistan. When Bibi’s acquittal was announced, havoc erupted on the streets of Pakistan; roads were blocked with massive containers, rioters attacked cars with rocks and burnt tires, and anarchy and rage spread throughout the population. 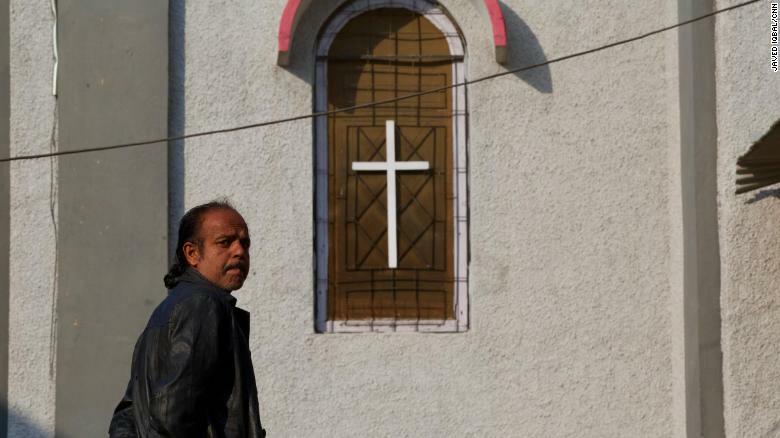 While major militant-backed attacks on Christians have decreased, activists tell CNN that the main issue facing the community is systematic bias within Pakistani society. According to Bashir, in 2014, in an attempt to fill quotas for minorities in government jobs, Christians were regularly offered low-skilled positions such as sweepers and office laborers, rather than higher-level roles. 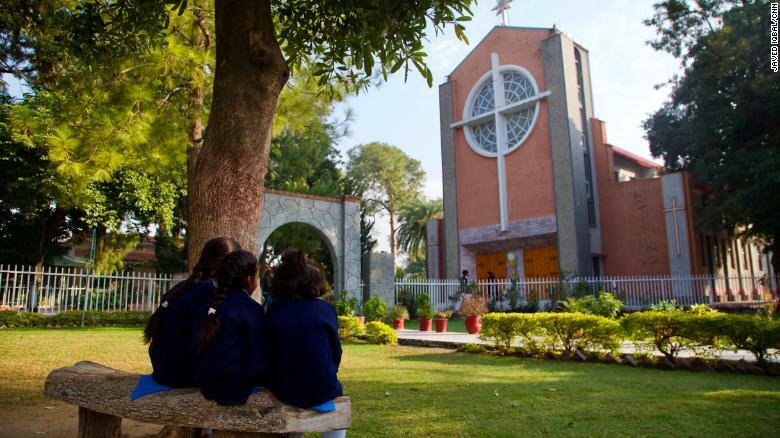 School textbooks still rarely mention the achievements of minority Pakistanis, while in the province of Punjab members of the Christian community occupy most of the slums in the region. 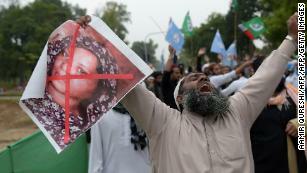 Christians were targeted in Pakistan following the acquittal of Asia Bibi. Bashir has worked for numerous years promoting women’s and minority rights and religious tolerance. In 2012 she was appointed by Pope Benedict XVI as an adviser for the Commission for Religious Relations with Muslims. She has stated that there had been a lot of build up in the trust between Muslim community leaders and members of the Christian and other minority communities in recent years. That trust, she says, has been jeopardized by the uneasy atmosphere in the aftermath of the recent protests in the country. “People on both sides are now afraid to come forth, there is no middle ground for discussion, there is no air for reconciliation, it’s like the bridges of harmony have been burnt in the aftermath of acquittal,” she said. The whereabouts of Asia Bibi are currently unknown, shrouded in secrecy for her safety and survival. Unable to be free in her homeland, she must now escape under cover to far away lands offering her asylum and the promise of a more secure life. According to the Human Rights Commission of Pakistan, at least forty other people are reportedly on death row or serving life sentences for blasphemy. In the shadow of this uncertainty, Asia’s fate is one which many Christians in Pakistan hope to avoid.